Song previews for “Night of Neglect”…and TWO Glee stars singing Adele? 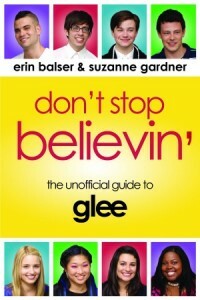 Four previews of songs from Tuesday’s episode of Glee are right here for your listening pleasure, gleeks! Hear Gwyneth Paltrow sing Adele’s “Turning Tables” in her return as Holly Holiday, Tina take on Lykke Li’s “I Follow Rivers”, Sunshine belt out a Celine Dion-esque rendition of Eric Carmen’s “All By Myself”, and Mercedes channel the diva Aretha on “Ain’t No Way”. And, as a bonus, take a listen to this fantastic rendition of Adele’s “Someone Like You” by none other than Amber Riley, recorded in her trailer! Apparently it wasn’t supposed to get leaked, but it’s already on Perez Hilton now, so I figured I’d share it with my readers, too! What songs are you most excited to hear on Tuesday? And who does Adele better: Gwyneth or Amber? Let us know in the comments!